Tesoro is a relative newcomer to PC peripherals, yet in the five years since the firm was founded in Taiwan, it has become a respected brand among e-sports enthusiasts and gamers. 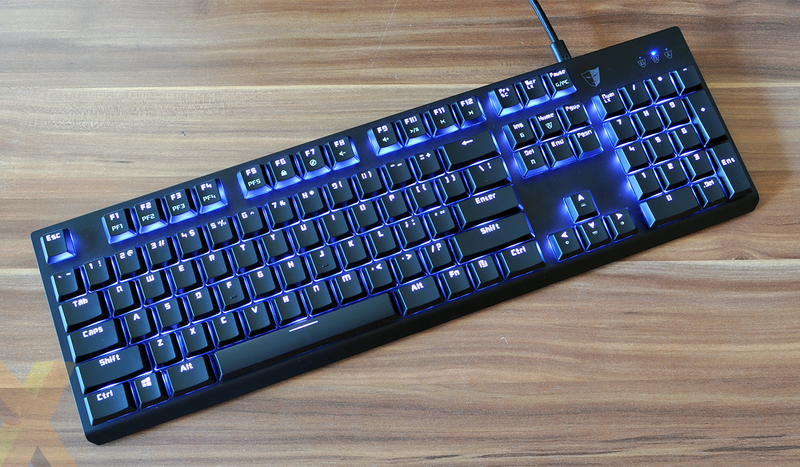 The company's product range has expanded quickly to include a wide range of headsets, mice and keyboards, and one of the latest additions is the Gram Spectrum being reviewed today. Priced at $150 over in the US and coming to UK shores in November, Gram Spectrum is said to have been imagined as "the fastest mechanical keyboard without compromising the tactile feel." 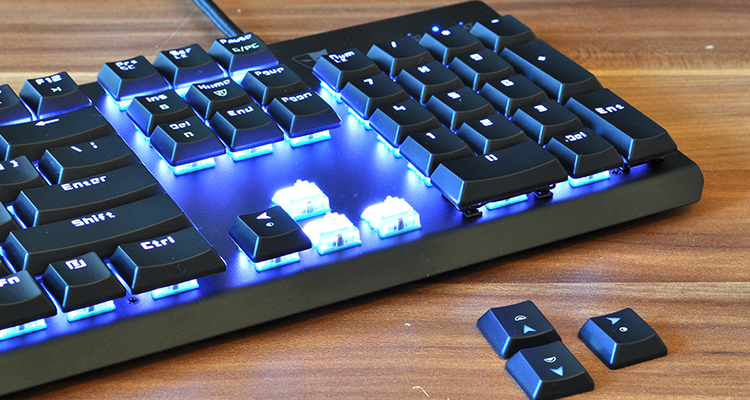 Bold claims for high-end gamers seeking every possible advantage, yet what makes this mechanical keyboard any different to another? The key point of differentiation is the low-profile Tesoro Agile Switch. Geared for fast response, this particular switch cuts travel distance from 4.0mm to 3.5mm, while the actuation point is trimmed from 2.0mm to 1.5mm. 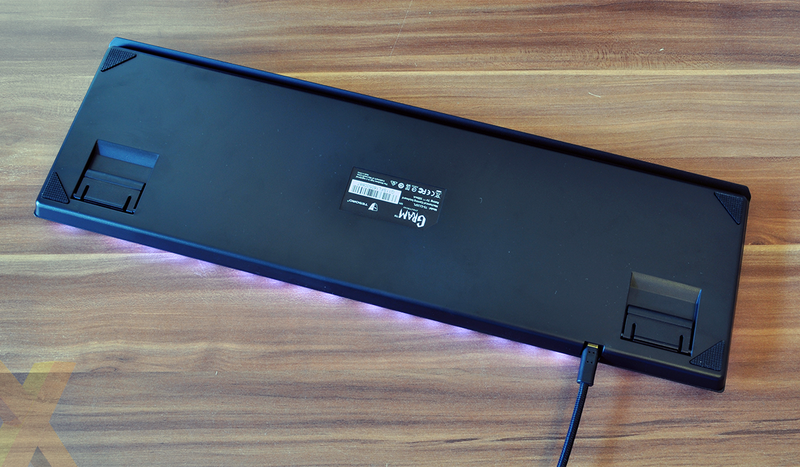 Although branded as Tesoro, the Agile Switch is actually produced by Chinese manufacturer Kaihua Kailh and as you might have guessed, this particular recipe is positioned as an alternative to the Cherry Rapidfire switch featured in the latest Corsair keyboards. Fast response and rapid reaction feature prominently in the marketing blurb, however it's worth pointing out that low-profile switches have another benefit in that they enable sleeker-looking boards. Tesoro's keycaps measure just 6.2mm in height (compared to 11.5mm for standard mechanical keycaps), resulting in a svelte profile for a mechanical solution touting a 1,000Hz polling rate and an ARM Cortex processor. There are no dedicated multimedia or macro keys, however many of these have been implemented as secondary functions on existing keys. F1-F5 allow for quick selection of any of the five onboard profiles, F6 lets you lock the entire keyboard, while F7-F12 serve as multimedia shortcuts. Elsewhere, Fn+Pause switches between Gaming and PC modes, Fn+Insert toggles six-key rollover while Fn+Del defaults to full n-key, and Fn+Home can be used to start and stop macro recording. Gram Spectrum measures 445mm x 136mm x 24.5mm in size, making it reasonably simple to slip inside a backpack, and the use of a removable micro-USB cable is also handy for transport. The bundled, braided cable measures 1.8m in length, though do be aware there are no cable-routing paths so you'll need to be happy with the connector being located along the top-right edge. 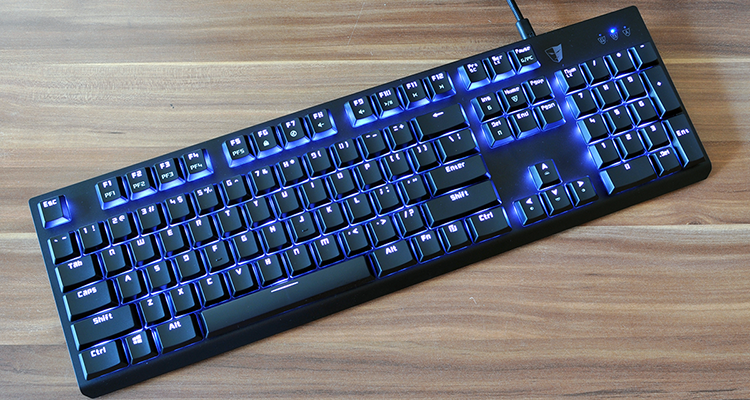 The keyboard's 1.05kg weight is testament to Tesoro's build quality, with the manufacturer employing the tried-and-trusted combination of a plastic base and metal top cover. In this case, the metal plate is said to be made of iron and we like the fact that it's a) suitably rigid and b) able to repel fingerprints fairly well. 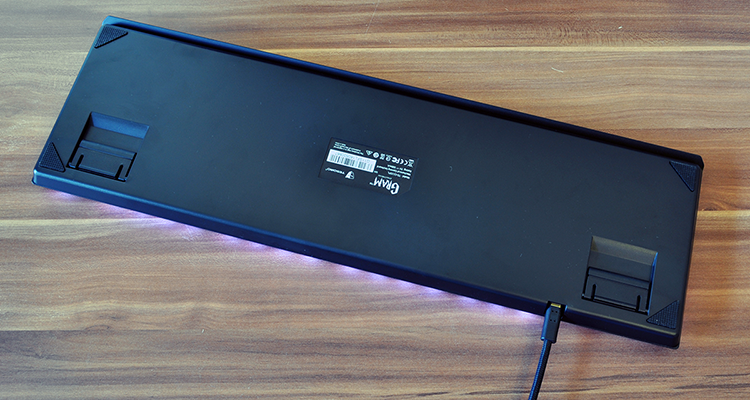 Rubber pads on the underside help keep the keyboard in place, while rubber-tipped feet can be deployed to change the angle, but there's nothing else of note around the sides - value-adds such as USB or audio passthrough aren't part of the package. What we do have is a surprisingly good-looking board that's available in either black or white. The Taiwanese firm's earlier efforts have typically taken an ostentatious approach, yet Gram Spectrum is laid-back in appearance and all the better for it. Turn the lights off and it could easily be mistaken for an everyday piece of office equipment, though the needlessly stylised keycap font is something of a giveaway. It isn't a font we're particularly keen on, and the similarity between the 6 and G keys can be off-putting. The style of font is a personal preference, but what's likely to appease most gamers is the implementation RGB illumination. 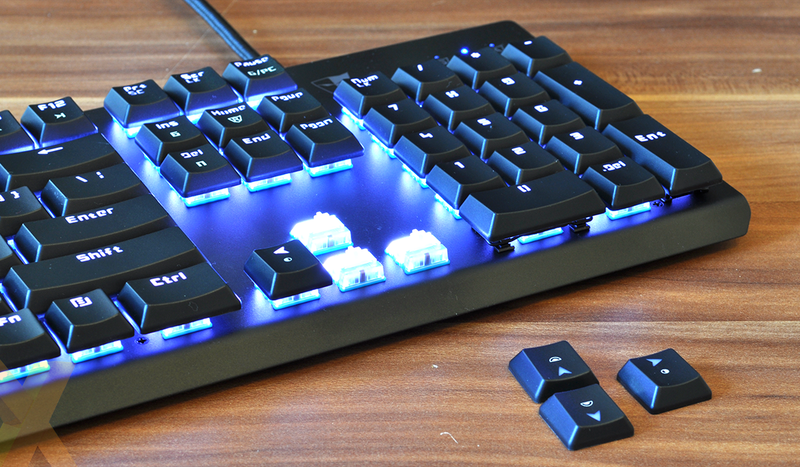 LEDs are mounted above each individual key switch, and while semi-transluscent caps help spread the light, Tesoro ensures good coverage by keeping all its lettering in the upper position. Like it or not, both the primary function (e.g. 1) and secondary function (e.g. !) are on the same row for maximum backlight effect. There's a seemingly infinite choice of colours (16.8 million, to be precise), however the Gram Spectrum implementation isn't as versatile as some of the competition. Unless we're missing something obvious, the accompanying software doesn't appear to let you choose colour on a key-by-key basis - it's the whole board or nothing - and while the provided lighting effects help mix things up, there's no option to create effects of your own. These are, we suspect, features that will be added via software updates at a later date.